Elements of Egyptian and Greek architecture inspired the structural design of the Alabaster range from Heathfield & Co. Exquisite metallic detailing highlights the beautiful translucency of the Alabaster stone used to form the base. Delicate, gentle detailing cascades across the stone for an elegant, ethereal effect. A ribbed effect gently carved into the Alabaster mirrors the columns of ancient architecture. 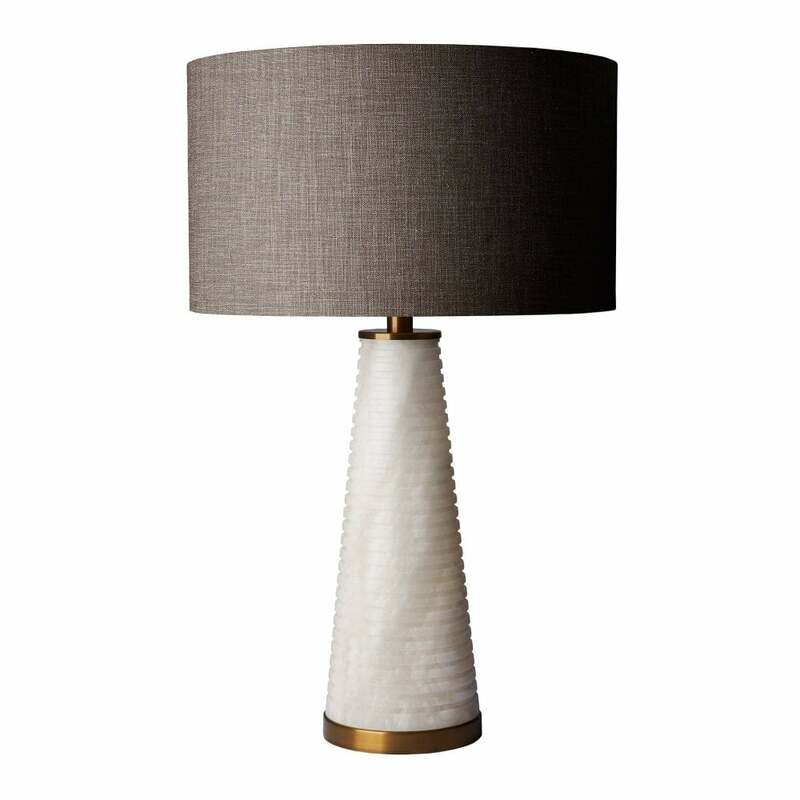 The tapered detailing of the base extends to a large drum shade. A modern take on the classic table lamp, the sculpted Piera Alabaster is the perfect organic addition to any interior.